Are we Nearer to a Major CBRN Terrorism Threat? Upon his nomination in 1995, former U.S. Secretary of Defense William Cohen declared that Weapons of Mass Destruction (WMD) terrorism - chemical, biological and nuclear terrorism - would present the main strategic threat for the U.S. in the 21st century. President Bill Clinton read at the time The Cobra Event book about a bio-terrorism attack and was so alarmed that he ordered an intelligence analysis of the book, which affected White House policy regarding bioterrorism, and helped encourage the president to order intensified spending and preparations for a bioterror event. Fortunately, since the chemical attacks by the Japanese Aum Shinrikyo cult in 1994-1995, the anthrax attack in the United States in October 2001 and the chlorine attacks by al-Qaeda elements in Iraq in 2006-2007, there was no serious CBRN incident worldwide. Although limited in their scope and lethal results, these attacks materialized, albeit tardy, the potential CBRN threat perceived since the early 1970s. In a major research on the threat of CBRN terrorism just a year before 9/11, our institute, the International Institute for Counter-Terrorism (ICT), evaluated that the known terrorist organizations do not have the capability to build or acquire standard WMD. Even if they manage to produce and use simple, low-level non-conventional weapons, the number of victims would be limited: several dozens or hundreds, as was the case in the sarin attack by Aum Shinrikyo. This evaluation challenged other exaggerated assessments of terrorist capability with a more realistic perspective. It did not however address the case of a country’s providing chemical, biological or nuclear weapons to sponsored organizations. Present events in the Greater Middle East and Pakistan have raised the specter of a far greater and present danger. Prior to the outbreak of fighting in Libya, the Qaddafi regime was thought to possess some 9.5 metric tons of aging mustard blister agent and a larger quantity of chemical weapons precursor materials. Libya's chemical agents were held in a concrete bunker several hundred miles to the south of Tripoli, the capital city, guarded by military troops. After the fall of the Qaddafi regime it became known that he kept secret some of his chemical weapons arsenal, in spite of his international obligations. The National Transitional Council's outgoing prime minister Mahmoud Jibril declared that two sites containing chemical weapons were found in Libya and that the Organization for the Prohibition of Chemical Weapons (OPCW) in the Hague and the United States were notified. The Organization for the Prohibition of Chemical Weapons (OPCW) inspectors indeed visited Libya in mid-January 2012. Among the chemical munitions they found were stocks of mustard agent. Libya's new rulers told the group about the previously unknown stocks stored at the Ruwagha depot, in the south-east of the country. Libya now has until 29 April 2012 to submit a detailed plan and a date by which the destruction of the materials would be completed. However, no one is sure such agents could not be disseminated to terrorist elements, as heavy weapons, ground to air and anti-tank missiles have found their way to jihadists in the Gaza Strip and possibly to Al-Qaeda in Islamic Maghreb (AQIM) elements in the Sahara region. For instance in February 2012, 43 SA-24 antiaircraft missiles and the shoulder-fired SAM-7 were found in a cache in the town of In Amenas in southern Algeria, near the Libyan border. The German Foreign Minister Guido Westerwelle stressed that “the arsenals in Libya… present a major risk far beyond the borders of the country” and pledged the support of his government to minimize their potential to do harm. The German Government thus supported the two OPCW chemical weapons inspection in Libya, financed the flights of the inspectors and sent one of its experts in the team. The Libyan scenario could happen with the chemical, biological and even radiological weapons and agents found in the hands of the beleaguered Assad regime in Syria. Already in May 2011, in a CNN interview, US Defense Secretary Robert Gates warned about the possibility that Hezbollah is armed with more missiles and rockets than most states, possibly armed with chemical or biological warheads. Israeli intelligence officials worry what will happen to Syria's WMD arsenals, which include a substantial stockpile of chemical arms that includes nerve and blister agents. Less is known about the nation's biological weapon capabilities. In the event of a power vacuum in Syria, there is the possibility of weapons proliferation to Hezbollah or other regional militant groups. Damascus has already provided in the past ballistic missiles to Hezbollah. An unidentified Israeli defense official even threatened Israel will not tolerate any transfer of Syrian chemical weapons to Hezbollah in Lebanon. The future status of Syrian chemical weapons has become a major worry also for the United States, which is pressing nations bordering Syria to be attentive for unconventional and conventional arms that might be smuggled into their territories. Syria is believed to have a substantially larger and operational chemical weapons program than Libya and the situation there is therefore much more difficult, according to Assistant Secretary of State Thomas Countryman. Older information indicates Syria, one of the few countries that has not signed the Chemical Weapons Convention, has two chemical munitions storage sites at Khan Abu Shamat and Furqlus as well as four chemical agent manufacturing facilities at al-Safira, Hama, Homs and Latakia. As a consequence, the U.S. and some Mideast allies are intensifying surveillance of Syria's chemical and biological using satellites and other surveillance equipment. American officials say, however, that there is no evidence so far “that any of the stockpiles are in immediate danger of being overrun by antiregime forces or Islamist militants, which they believe are currently incapable of conducting raids of the necessary sophistication” as facilities where stocks of nerve agents and mustard gas are well guarded by regime loyalists. The concern over Pakistani nuclear weapon proliferation – especially to terrorist organizations – has been also expressed in numerous diplomatic cables attained in the Wikileaks disclosures. For example, less than a month after President Obama assured reporters in 2009 that Pakistan’s nuclear materials “will remain out of militant hands,” the U.S. ambassador to Islamabad, Anne W. Patterson, reported that “the Pakistani government was yet again dragging its feet on an agreement reached two years earlier to have the United States remove” a stockpile of highly enriched uranium near an aging research nuclear reactor in Pakistan, enough to build several “dirty bombs” or possibly enough for an actual nuclear bomb. It should be remembered that Pakistani nuclear scientist Bashiruddin Mahmood, former chief of Pakistan’s Khushab plutonium reactor, had close ties to al Qaeda and the Taliban. Together with other scientists and military and intelligence officers he created the Pakistani humanitarian NGO Umma Tameer e Nau (UTN). Former Director General of Pakistani Interservices Intelligence Directorate (ISID) Hamid Gul was among the board members and patrons of UTN. Before 9/11 Mahmood offered to construct chemical, biological and nuclear weapons programs for al Qaeda. After 9/11 he was detained with other associates by Pakistan Intelligence (ISID) at the request of the U.S. government but was later liberated. Al Qaeda leaders tried to contact also the now infamous Abdul Qadeer Khan’s nuclear weapons clandestine supply network, which provided Iran, North Korea, and Libya with nuclear technologies and know-how, but these attempts were reportedly rejected by the Khan network. In 2003, Sheikh Nasser bin Hamd al-Fahad, a well-known senior Saudi cleric associated with Bin Laden’s al-Qaida organization, issued a fatwa (religious edict) granting legitimacy to the use of weapons of mass destruction against the U.S. and Britain and against their citizens. In his fatwa Sheik al-Fahad explained that the Muslim world is engaged in a defensive war against the U.S. and UK aggression on Muslims, in Afghanistan and Iraq in particular. In a defensive war, according to al-Fahad, Muslims must use all means at their disposal and must not recoil from using any method to hit “the crusaders,” even enemy women and children. Rolf Mowatt-Larssen, Senior Fellow at the Belfer Center for Science and International Affairs at Harvard and former Director of Intelligence and Counterintelligence at the U.S. Department of Energy, mentioned several scenarios of “nuclear nightmares that keep [him] up at night”: Pakistan loses control of its bomb; the burgeoning Pakistani nuclear arsenal (more places where something can go wrong); increased extremism; the perilous military-civilian relationship.. 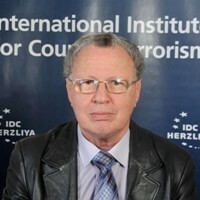 According to a recent paper by Robert S. Litwak, a terrorist group could acquire a nuclear weapon either by the transfer of a weapon from a nuclear state or an unauthorized transfer or theft of a weapon from an inadequately secured site. 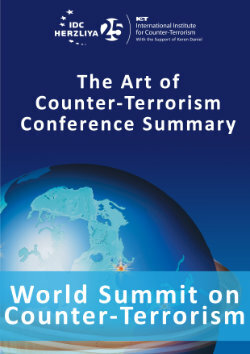 Litwak sustains that though after 9/11 the deliberate transfer scenario focused on Iran and North Korea, “the more likely route by which terrorists might gain access to nuclear or other WMD capabilities would be through unintended leakage of dangerous materials and technologies from inadequately secured sites,” and he points to Russia and Pakistan as the main security concern. Actually, the Russia scenario has been the main security worry in the early and middle of the 90s, after the fall of the communist regime. Already in the middle of the 1990s Russia formed new elite units in order to cope with the threat of terrorist attacks against its nuclear facilities and its security services run and largely publicized sting operations in order to deter potential vendors and buyers of fissile materials. There is renewed and more serious talk in United States establishment and academic circles about the need to prepare for the neutralization of the Pakistani nuclear arsenal in case of a terrorist takeover of some of these facilities, with all the tremendous political and military implications involved. In a February 20, 2011 editorial, significantly titled “Pakistan’s Nuclear Folly”, The New York Times warned that Pakistan, which has between 95 and more than 110 deployed nuclear weapons, manufactured enough fuel for 40 to 100 additional weapons. “The ultimate nightmare is that the extremists will topple Pakistan’s government and get their hands on the nuclear weapons,” claimed NYT. The more realistic scenario however, is the Islamist radical terrorists attack some nuclear facility and provoke a major nuclear incident or put their hands on some fissile material. Although U.S. Joint Chiefs of Staff Chairman Adm. Michael Mullen, declared that “Pakistan appears to wield sufficient control over its nuclear arsenal to avert seizure by any extremist infiltrators in the army or intelligence sector,” on the background of the raid on Osama bin Laden's secret compound in Abbottabad a number of top Obama administration officials - including the president himself - suspect that bin Laden relied perhaps on Pakistani assistance at midlevels of the army or intelligence service. According to nuclear security specialist David Albright an attack on a Pakistani nuclear base would necessitate inside assistance to pass through base security but also getting inside an underground bunker. A more likely scenario might be that militants or their sympathizers are able to divert nuclear material during the weapon-production process without anyone else knowing, he said. Times of India reported on December 15, 2011, that India prepares itself to cope with this Pakistani threat. Crisis management teams throughout India are to receive training in handling a disaster involving chemical, biological, radiological or nuclear materials. A training facility is to be set up in Nagpur and property has also been set aside in each Indian state for the construction of CBRN disaster response schools. The NDMA vice president said a drill would be carried out that would permit the CBRN response teams to practice maneuvers in a particular geography. However, "there is very little knowledge in the public domain on dealing with radiation exposure” and India has “not have a proper incidence response system in place in the event of such a disaster," he said. Jomana Karadsheh, “Jibril: Two chemical weapons sites found in Libya,” CNN, October 30, 2011. “Libya's Muammar Gaddafi had chemical weapon cache,” BBC, January 20, 2012. “Libya Arms Threaten to Infiltrate Africa Conflicts,” Aviation Security News, October 22, 2011. “Cache of 43 Libyan missiles found,” The Telegraph, February 20, 2012. Charley Keyes, “U.S. military needs flexibility due to poor predictions, Gates says”, CNN, May 24, 2011. “Israel Warns Syria Not to Transfer Chemical Arms into Lebanon,” Global Security Newswire, February 7, 2012. “Syrian Chemical Weapons a Big Worry for U.S., Global Security Newswire, February 16, 2012. Adam Entous and Jay Solomon, “U.S. Steps up Watch of Syria Chemical Weapons,” online.wsj.com, February 15, 2012. World at Risk: The Report of the Commission on the Prevention of WMD Proliferation and Terrorism (New York: Vintage Books, 2008) at http://www.absa.org/leg/WorldAtRisk.pdf. Jane Perlez, David E. Sanger and Eric Schmitt, “Nuclear Fuel Memos Expose Wary Dance with Pakistan,” New York Times, November 30, 2010. Rolf Mowatt-Larssen, “Al Qaeda Weapons of Mass Destruction Threat: Hype or Reality?” Belfer Center for Science and International Affairs, Harvard Kennedy School, January 2010. Rolf Mowatt-Larssen, “Nightmares of nuclear terrorism,” Bulletin of the Atomic Scientists, March/April 2010, vol. 66, no. 2, pp. 37–45. Robert S. Litwak, “Global Terrorism and Nuclear Proliferation after 9/11,” Analyses of the Elcano Royal Institute, Madrid, ARI 151/2011 - 21/11/2011. Ely Karmon, "The Role of Intelligence in Counter-Terrorism", The Korean Journal of Defense Analysis (KJDA), Vol. XIV, No. 1, Spring 2002 (Special Issue on Terrorism), p. 125. World at Risk: The Report of the Commission on the Prevention of WMD Proliferation and Terrorism. Litwak, Global Terrorism and Nuclear Proliferation after 9/11. Elaine M. Grossman, “Mullen: Pakistani Nuclear Controls Should Avert Any Insider Threat,” Global Security Newswire, July 8, 2011. “Terror Strikes Hint at Pakistani Nuke Security Gaps: Expert,” Global Security Newswire, June 14, 2011. Shaun Gregory, “Terrorist Tactics in Pakistan Threaten Nuclear Weapons Safety,” Sentinel, Combating Terrorism Center (CTC), June 1, 2011. See at http://www.ctc.usma.edu/posts/terrorist-tactics-in-pakistan-threaten-nuclear-weapons-safety. GSN, Terror Strikes Hint at Pakistani Nuke Security Gaps: Expert. Grossman, Mullen: Pakistani Nuclear Controls Should Avert Any Insider Threat. Christopher Clary, “Thinking about Pakistan’s Nuclear Security in Peacetime, Crisis and War,” Institute for Defence Studies and Analyses, September 2010.